Rock star 1975 Camaro RS is Ready to Scrap. It's time to say goodbye to this disco-era road warrior. 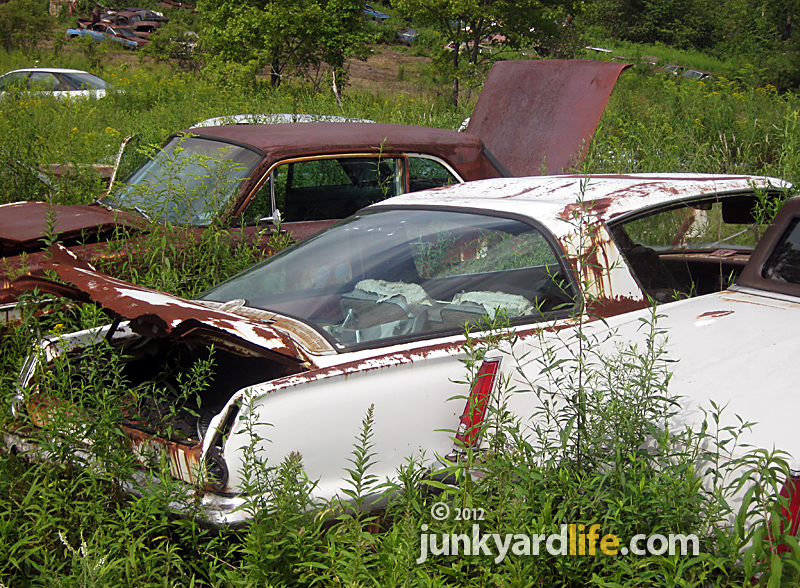 After serving time on death row at the local pull-your-own-parts, the crusher beckons this classy, two-tone, somewhat rare Camaro. Blessed with the unmistakable ’75-’77 Rally Sport appearance package that featured low-gloss, black paint across the hood and over most of the roof. A Rally Sport Camaro was like a rock star in a tuxedo showing up at your high school prom. He was the dude! The ’75 RS, available in white, yellow, red, silver or light blue, was one of only a handful of fashion statements to survive the polyester decade without an overdose of ugly. Sadly, this Rally Sport got booted out of the prom. 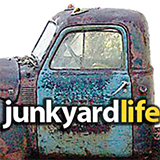 Along the way, he found drugs, Jesus and the junkyard. 1975-1977 Rally Sport Camaros were an exterior paint, decals and stripe option. 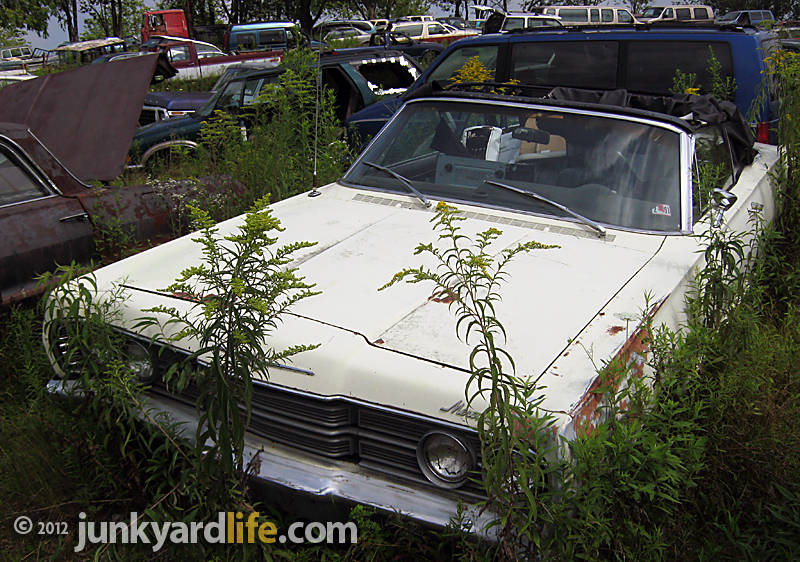 Less dough spent on air fresheners and more money on maintenance could have saved this Second Generation F-body. Restorable? Yes. Desirable? Yes. Surprised to find a 35+ year old car, that I want, complete, except for the engine, at a junkyard? No. Life is a roller coaster ride full of choices and changes. 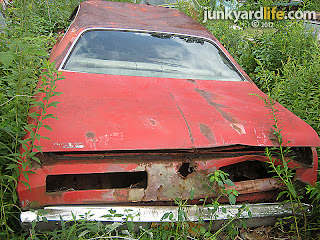 1970s safety standards, fuel economy and ergonomics did not favor investing and restoring this prom king Camaro. The love was gone, as were the optional T-tops. 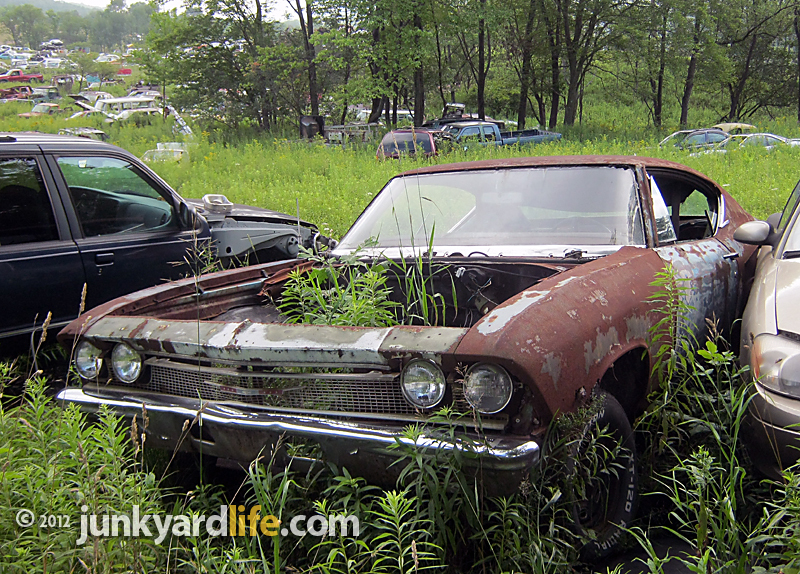 The exterior was solid, but inside, the floor pans were rusted. Two $100 bill air fresheners hung from the rear view mirror. A sign that the inside of this Rally Sport's tuxedo was due for a delousing. Bumper stickers with religious and anti-drug messages clung to Chevrolet's youth-oriented, performance car. So many good times had by all. The party is over. Goodbye Camaro. Our friends are crushed. Bumper sticker redemption. Jesus message bookends the "Live drug free" sticker along the ’75 Camaro’s aluminum rear bumper. Mid-70s Rally Sport Camaros weren't the street beasts of earlier years but they looked great with a set of Cragars S/S rims wrapped in big ’n little rubber. In 1975 Chevrolet sold 7,000 Z85 optioned, Rally Sport Camaros. 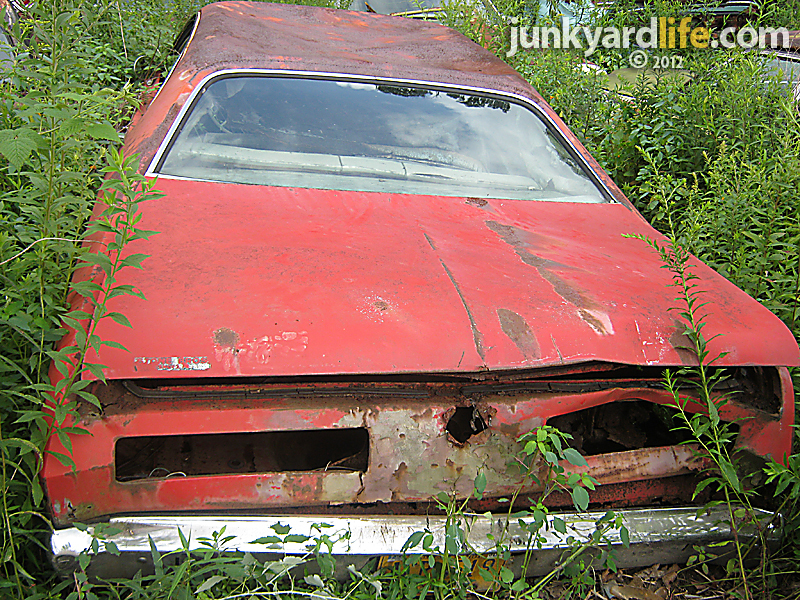 That's less than five percent of the 145,770 Camaros built in 1975. The Rally Sport option was an exterior appearance package. It included low-gloss black paint on the hood, header panel, grill, headlamp bezels, top of fenders, majority of roof, upper portion of doors, rear end panel and license plate opening. A tri-color decal separated the black paint from one of the seven RS body color paint options. 1975 was the first year for the wrap-around rear window on the Camaro and also the first year that the Z28 option was dropped. 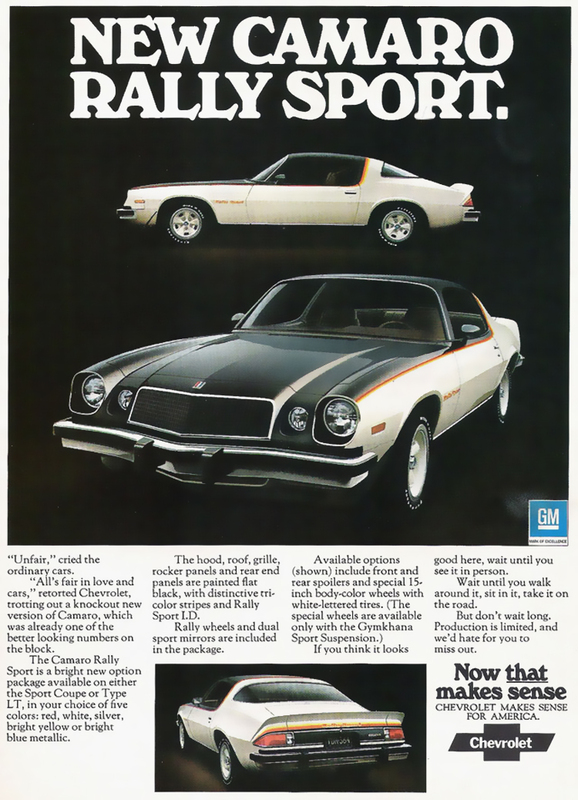 The Z28 would return in 1977. Less than nine percent, or 15,855 of the 182,959 Camaros built in 1976 were optioned with the Rally Sport package. In 1977, less than eight percent of the 218,853 Camaros built were Rally Sports. Transformer meets ‘Miami Vice’ in homebuilt tribute to the 1980s. Crockett and Tubbs may have taken a new job with the police department in Birmingham, Alabama. A co-worker called me and said 'you've got to see this car.' I grabbed my camera and headed to the street. 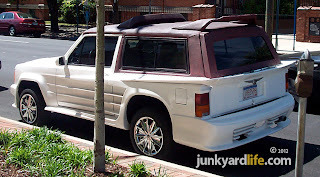 That’s where I saw what used to be an ordinary, two-door, Jeep Cherokee Sport transformed into a Ferrari Testarossa, via a body kit and some bondo. Is a ‘Miami Vice’ reunion show in the works or was this the handiwork of a visionary craftsman. Really, don't laugh. 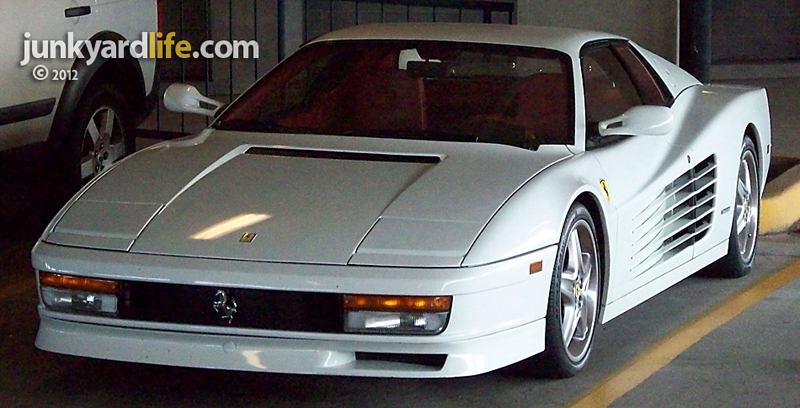 The famed ‘Miami Vice’-era Ferrari was inspiration for the Jeep-Testarossa. Think 'Miami Vice', their sleek, white Ferrari hopped up on steroids. 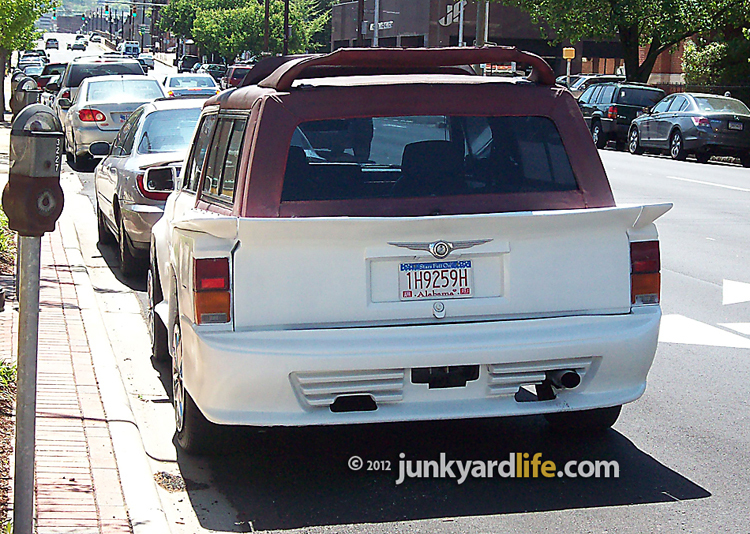 The creator of this custom Jeep stayed true to it's Ferrari roots in keeping the slight angle extending over the rear flanks and onto a wrap-around rear wing. 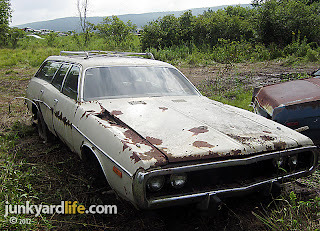 The Chrysler badge over the license plate is the crowning achievement. 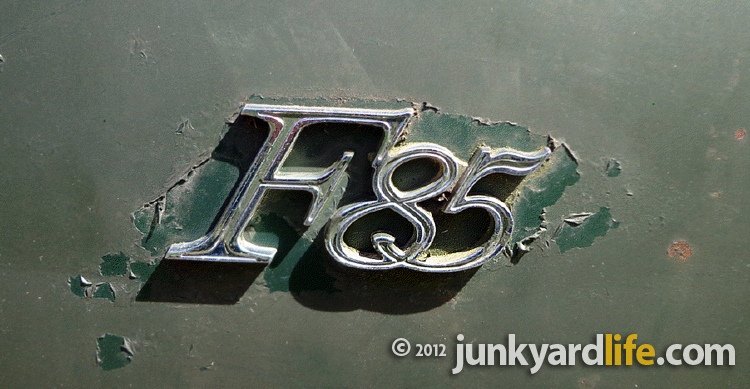 A Jeep badge would look out of place on this nod to high end exotics. The roof wings may be a bit over the top on this boulevard bruiser. At interstate speeds you may see this 4,000-pound Mopar-Testarossa take flight over Birmingham, Alabama. 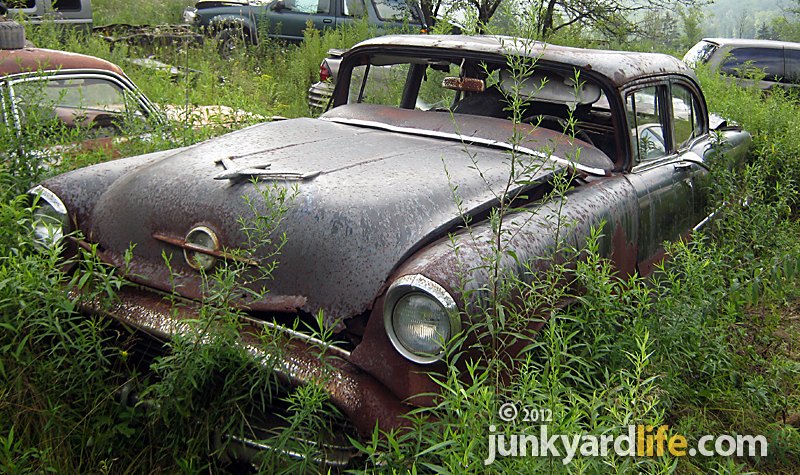 If you ask yourself 'why', when you see a custom car, the builder will say 'why not?' Most of the time their passion and desire are only limited by money and skill. I respect the effort put into vehicles like these. 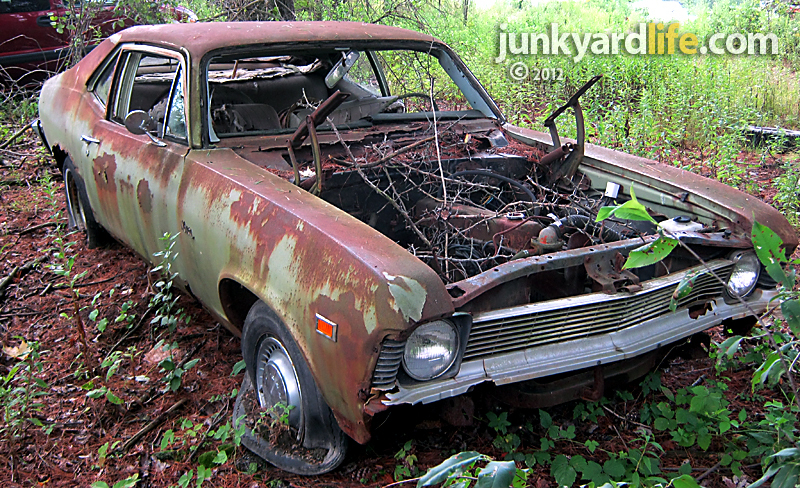 I say build it, enjoy it and keep the custom car art alive. Got wings and a cut-out in bumper for exhaust, also notice the Chrysler emblem over the tag? All about the details. 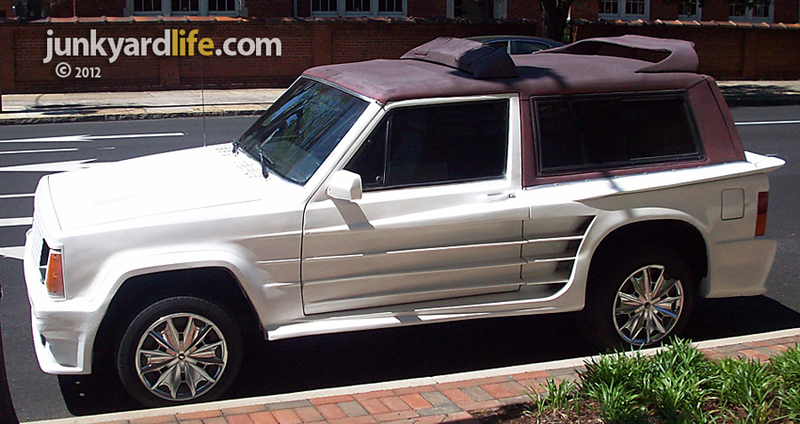 Hood vent and vinyl/fake 'vert top on this Jeep are clues that this is a one-of-a-kind creation. Instantly, you know the inspiration for this car. From 1984 to 1991, Ferrari built 7,177 Testarossas. 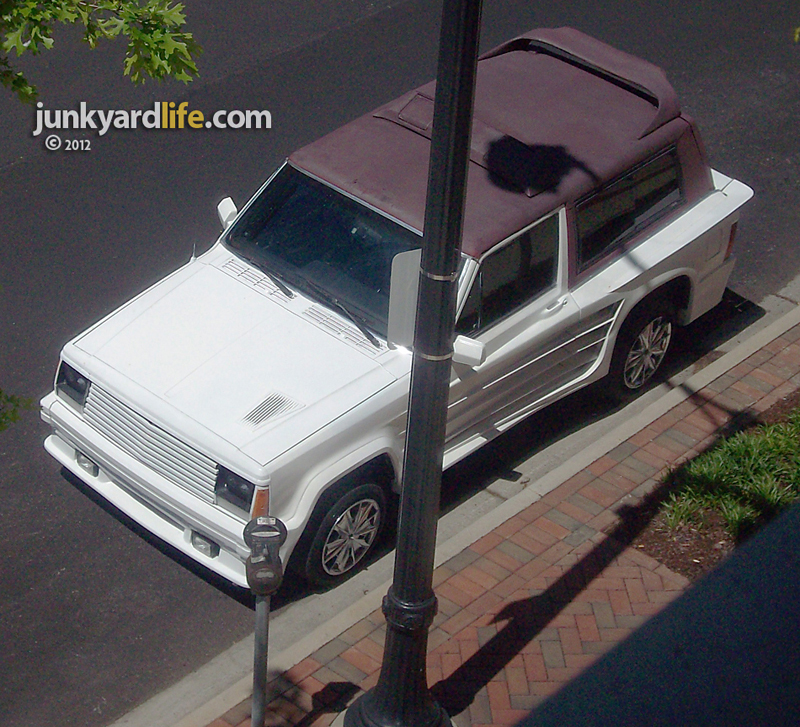 All of them have since been repainted white in homage to the ‘Miami Vice’ hero car that Don Johnson drove, during three of the series’ five seasons (1984-1990), as detective ‘Sonny Crockett.’ The director of ‘Miami Vice,’ Michael Mann, had the two Testarossa's, which Ferrari delivered in black, repainted white, so it would have better contrast during the car's primarily night scene filming. Oddly enough, I photographed a real Testarossa less than a block from the imitation Testarossa. 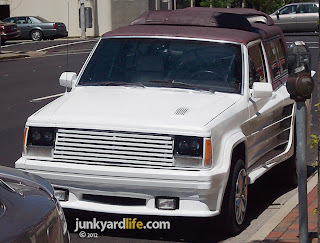 Compare the images below and you can see that the Jeep's owner spent a lot of time and money on the imitation. Real 1988 Ferarri Testarossa in white, of course! 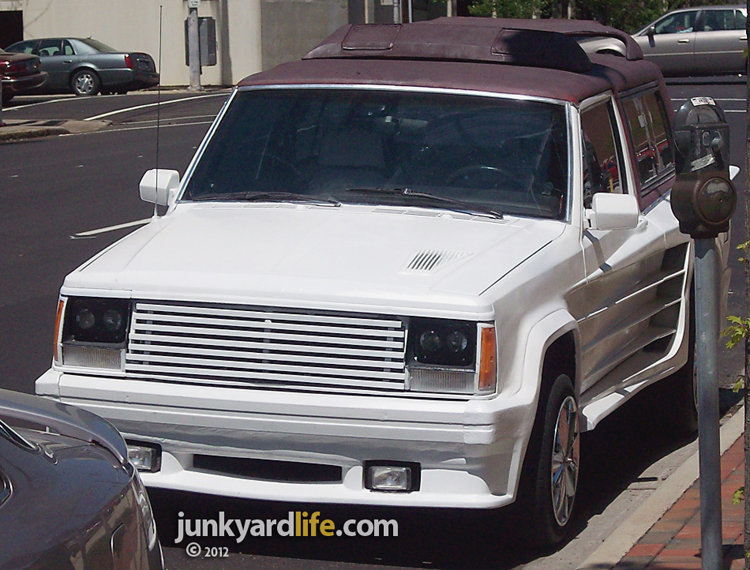 Real 1988 Jeep Cherokee Sport with a Ferrari face lift. 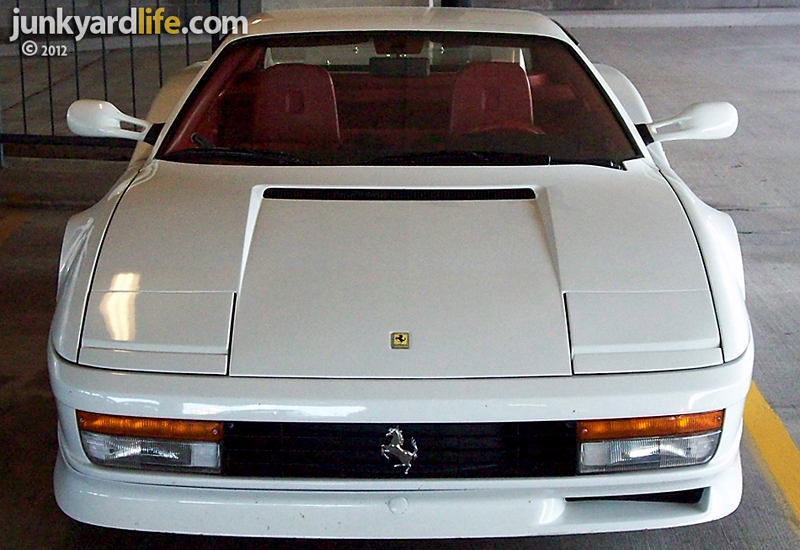 New 1988 Ferrari Testarossa's listed for $102,000. It took a labor of love to transform this Jeep into a Jeep-errossa. A V12 powers the Testarossa to speeds of 180-mph, while the Jeep's 4.0 liter, in-line, six cylinder fights to reach triple digits. 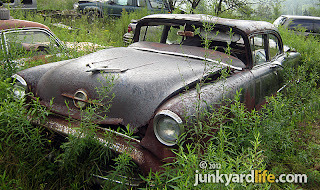 Know of a LOL car or a junkyard I need to visit or want to send me photos and info about a barn find, car or junkyard? Driving back to 1976. My garage find Cutlass Salon really isn’t pure me. But, you know, it grows on a guy. Then, after I put some thought to it, I realized it really isn’t that far off. It’s from the seventies. That’s me. It has a V8 with a Rochester Quadrajet. That’s really me. 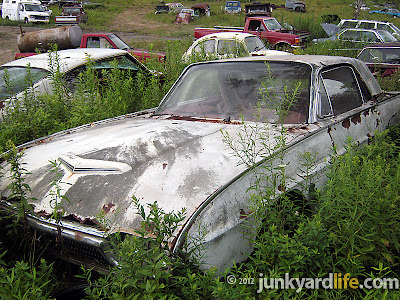 It has 15-inch Oldsmobile SS3 Rally Wheels. That’s totally me. The more things I list, the more Ron Kidd materializes in this blue Colonnade Coupe. Hang on a minute! 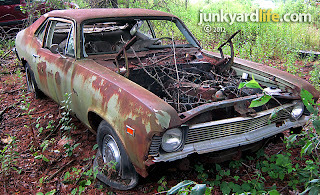 It’s not even the car I wanted. I wanted a '74 Grand Prix SJ or a '75 Grand Prix LJ. She just kind of came along and followed me home. Now she’s made a nest here. What can I do? I checked the short list and the long list must-own cars and almost found her there. I did find a seventies Colonnade style Cutlass. 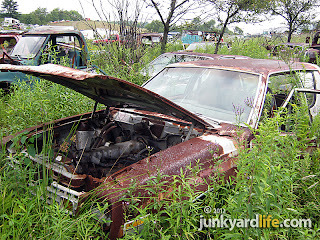 It was a 1977 Olds 442 in burgundy with silver trim. 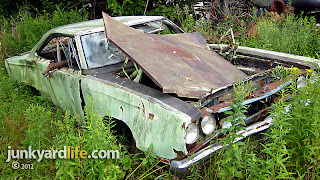 This car is almost that. Being a Salon model, it has a rear sway bar and very, very, comfy, reclining bucket seats. Checking the Salon option box also got you a way cool floor shifter, reminding you of 442 days gone by. I go to work stupid early. 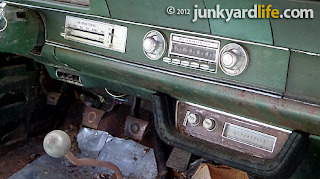 Probably the coldest part of the entire clock, and I am out there asking a 350 Olds engine to come to life. I must say, Nanny Dean (her name) is not happy about this. She is a little grouchy and lethargic. With about an 1/8-of-a-mile of right foot persuasion, she comes completely to life and idles and shifts like it’s an eighty degree day outside. The non-rim style, fat, padded steering wheel feels super good in my hands, and did I mention how incredibly great those seats feel? 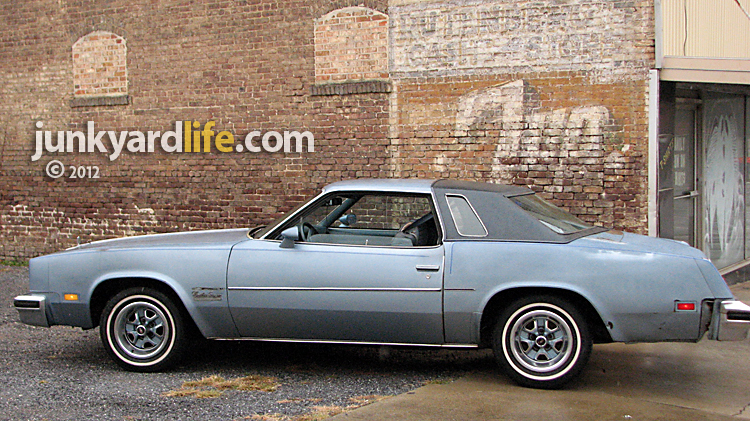 So, I decided to see what it would be like to live day-to-day with a 1976 Oldsmobile Cutlass Salon. It would be my primary car for a week. "Why not?," I thought. 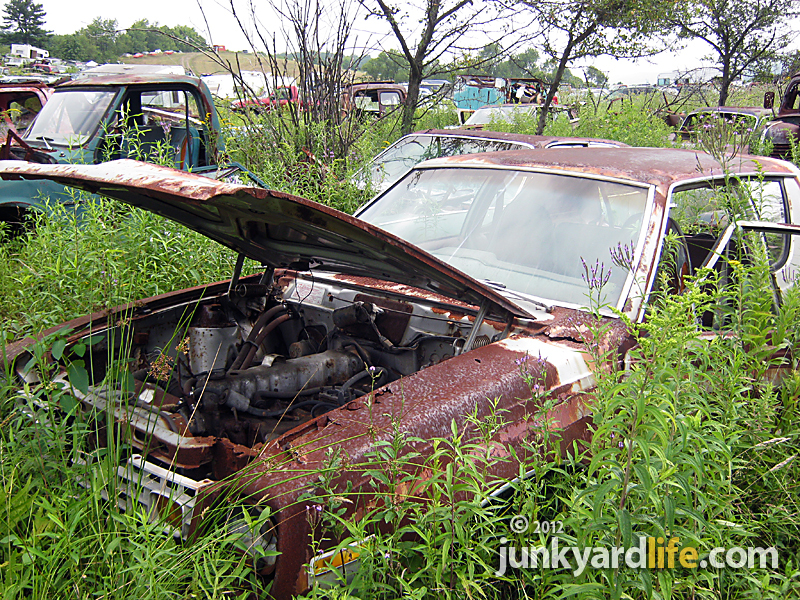 Jody had a 1976 Buick Century that was an everyday car until it nearly met its demise under a city bus. 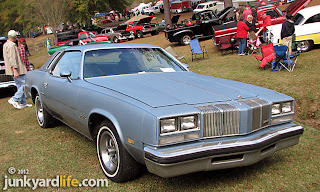 Anthony has a fabulous 1979 Grand Prix that has taken him everywhere lately. Was Nanny Dean up to the task? Could she handle around town errands as well as daily commuting? What about traveling? Dare I? Also, could I handle it? One week without the spacious room of my SUV or my wagon? Can a trunk replace cavernous cubic feet of hauling capability? What about a car trip? That traveling thing I mentioned? Ron Kidd is a brave man. Ron pulled over for a photo of his 1976 Cutlass Salon on the way to a car show in Lineville, Alabama. Nanny Dean has no cup holder. She’s a Salon, not a saloon. This does seem to get in the way. I have learned to balance a fast food drink on the console. Speaking of that, there is not one, but three inside storage compartments. Unfortunately, the center console door doesn’t want to stay down. It will slowly open itself and you will casually rest your hand in the midst of receipts, pens and Tic Tacs. As far as luxury accents are concerned, the radio won’t pick up FM channels, but it has a nifty Sony car stereo that someone installed in the 1980’s. Anyone remember cassette tapes? Out from the depths of my rock and roll closet a massive pile of cassettes! I don’t mind some of the cool retro tunes I collected back in the day. I keep playing Dire Straits “Heavy Fuel” and Tom Petty with Stevie Nicks doing a live cover of “Needles and Pins.” It’s all I can listen to by force. So here is what I got and what I don’t got... I got a trunk light. It works great! No losing anything in there. I had a deer get caught in that light once. I don’t have a dome light. I don’t need one. I have what GM called "opera lights" in the rear interior panels and lights under both sides of the dash. I even have a map light on the dash. They thought of all kinds of things in 1976! As rough as this beater’s interior is, with a rip cut here and a split place there, I still don’t eat in it. That’s weird, I know. Nanny Dean doesn't have power windows. I kind of like that. 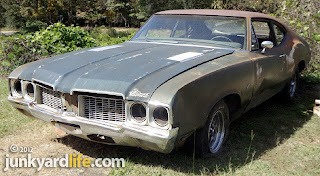 When the Cutlass got caught outside in the rain, I raised the window without having to apply the ignition key. 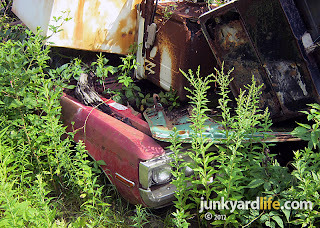 But then again, if you have power windows, you can roll them both up at the same time. So I guess that’s a wash.
Peppy but watch your whoa! I feel somewhat extra cool when I go to put that 442-style, muscle car-era, floor shifter into gear. Nanny Dean moves with authority and shifts accordingly. I have a witness that she smacked second gear with a firm chirping of the rear tires. You can really feel it respond by the seat of your pants when I give it just a little more pedal than necessary. I don’t know what to compare it to? It just feels like a much more powerful car under all circumstances I have encountered. I always seem to run out of road before I run out of motor or gearing. When the inevitable happened and I had to get down on the brakes, she stopped like a much lighter car with the absence of any pulling to either side. I would feel like I withheld information on you if I didn’t mention the cornering pleasure the rear sway bar offers. I am not saying it’s ready for the Tail of the Dragon in Tennessee, but it really surpasses my expectations of a mid seventies mid size sedan. Nanny Dean, a 1976 Olds Cutlass, rolls on white walls to an out-of-town car show. Her 350-V8 purrs like a kitten. 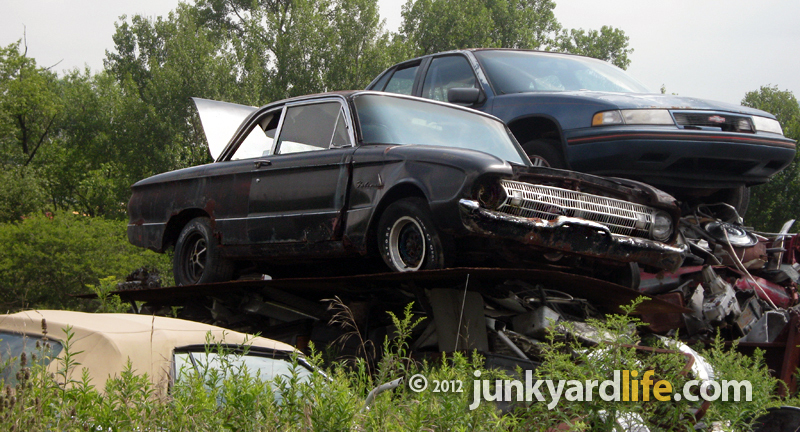 We hit the road to an out-of-town car show. Not incredibly far, only about two hours each way. I filled the trunk with a cooler and two lawn chairs as well as the usual tool kit. Yes, a tool kit, because I am brave, but not stupid. Interstate, state highways and back county roads and even sitting in traffic, Nanny Dean performed like a champ. I got great gas mileage, too. I am not going say just how much, only because I don’t know. I am still cruising on that same tank of gas. She may not be a Prius, but I will compare it to most SUVs out there. It’s really not bad. The whole trip went swimmingly, without a hiccup and was really comfortable. 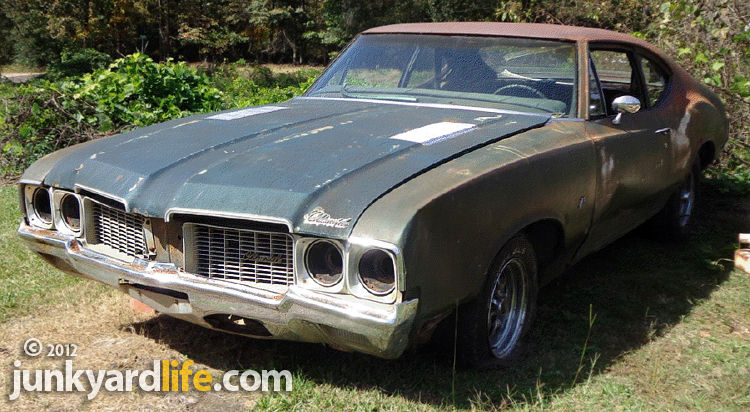 So Life with a '76 Cutlass Salon? It was great! Despite the rather bland color, it’s spicy and fun. I get a lot of compliments and stories on similar cars that were a part of people’s lives. 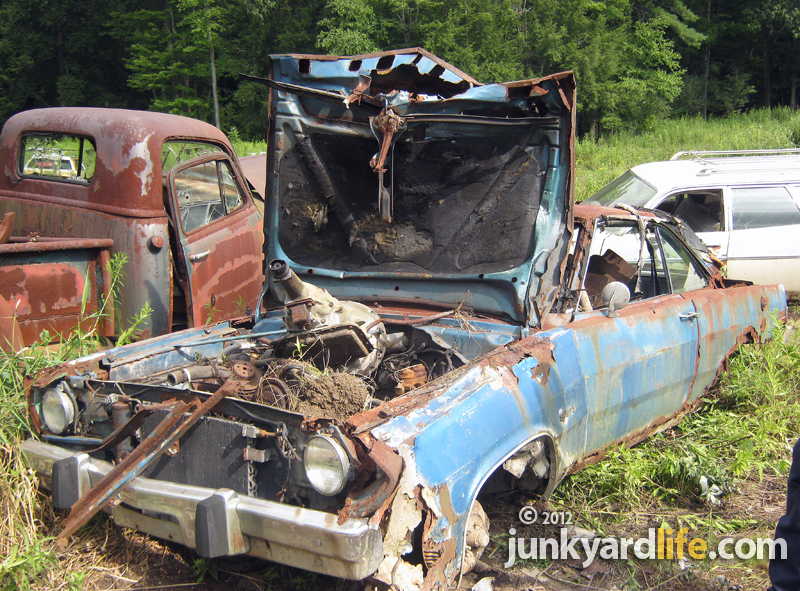 At Junkyard Life, we really dig stories like that. Road trip? Done. Cold mornings? No problem. 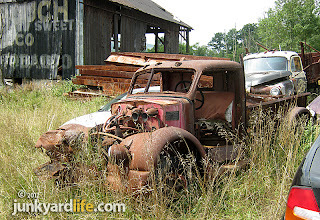 Gas mileage? Decent, if not downright good. Errands? Fun. Sitting still in drive-thrus and boring traffic congestion? It doesn’t mind a bit. 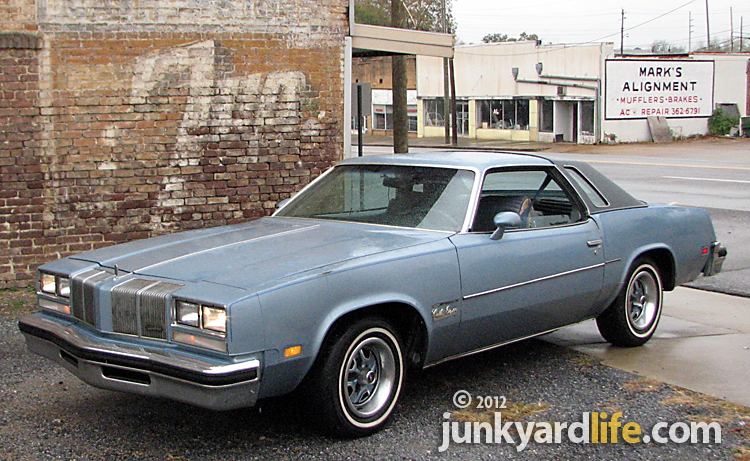 Life with a '76 Cutlass is not bad. I would even go as far as saying life is really good.